Our popular 2 for 1 special is back! In February, returning patients can bring in a new patient with them for a free first treatment! 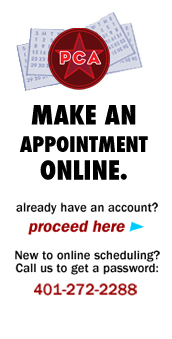 Please call us at 401-272-2288 to schedule an appointment. Occupational Special: $10 treatments all month long for anyone who works outside, including farmers, landscapers, grounds crew. Note: Additional one-time $10 fee still applies at the first visit. We are open regular hours on Monday February 19th. ← SPECIAL ALERT: Come in out of the cold!